Anise Hyssop or Giant Blue Hyssop has been blooming at the edge of our garden for a couple of weeks now. This purple-flowering plant is native to the American plains, but we have found out that it grows quite well in the Appalachian Mountains of Pennsylvania. The blooms are pretty spikes of purple that grow longer as the plant blooms for a few weeks time. That’s a nice thing about anise hyssop in that the blooms are long lasting. 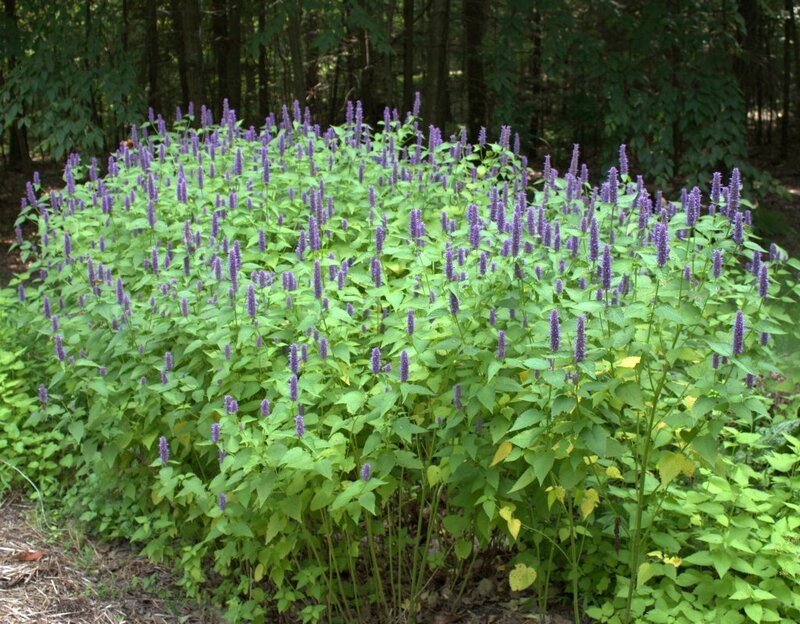 Anise Hyssop in full bloom will attract bees and butterflies. Bees and butterflies are attracted to the flowers like crazy. Standing near the hyssop one can hear the buzzing of the bees that visit constantly. We’ve seen several kinds of butterflies and hummingbirds visit the blossoms as well. The leaves smell of anise and can be used to make a tasty tea that is sweet enough to not require sugar or honey! All-in-all Anise Hyssop, Agastache foeniculum, is one nice garden plant because it attracts pollinators, provides beautiful flowers to look at and leaves for tea, and it’s a perennial too! I have the native species growing on my farm, first noticed a colony this year. The flowers are organized like the cultivars, the color is sky-blue, attained a height of approx. 2.5 feet. Appears to spread like Monarda, we have the native species of this plant as well occurring naturally, the flowers are pale lavender. That’s cool, Carol. Does the native species have a rich anise scent as well? You must have lots of bees visiting with the Bee Balm blooming too!